The “Collaboration and Creation Series” will run in Shanley Thursday and Friday at 7 p.m. and Saturday at 2 p.m. The series includes three short plays inspired by the ideas of directors and brought to fruition through a collaborative devising process. Each play is complemented by an art installation, like Snyder’s chalkboard. Snyder said the whole rehearsal room comes together to write a script in the devising process. Usually the director brings a “seed” to the table to start the process. In the case of Snyder’s piece, that starting point was the idea of home. Communication sophomore Theo Janke-Furman said he petitioned to produce the “Collaboration and Creation Series” because it was a unique opportunity to oversee the devising process. He said most productions on campus follow a more linear production process: actors act, directors direct and that’s the end of the story. The devising process allows more voices to be heard, Janke-Furman said. When selecting directors for the series, he said it was important that the voices he chose were diverse. 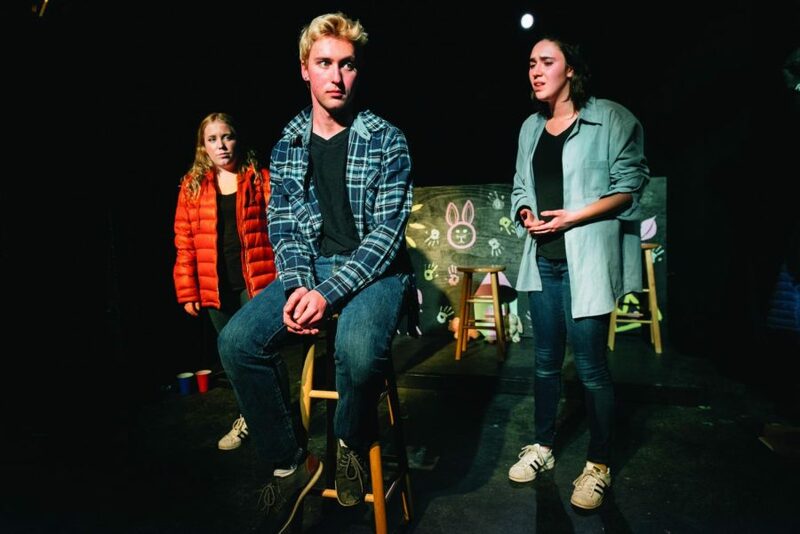 Isabella Noe, another Communication sophomore and director in the “Collaboration and Creation Series,” sparked her devised work with a question: What if she could go back in time and talk to the 14-year-old version of herself? That thought inspired a piece, “Morning Will Come,” that takes place inside the mind of one woman. Noe said she was excited by the prospect of devising a show with a blank canvas — both literal and figurative in this case, as her piece features a mural on the performance space floor — in front of her.